Like its famous liquor, Scotland improves with age. It had been about 20 years since our last jaunt to Scotland and it was even better than we had been anticipating. We went in July and according to weather statistics, it was the warmest stretch of weather in the past 100 years. Whether is was a fluke or just climate change doing its thing, we were grateful beneficiaries since cold, rainy weather really isn’t our thing. One noticeable change all around Scotland was the much improved cuisine from two decades ago. Fresh, local and flavorful is a way to describe nearly every meal we had. I guess we now have the advantage of the internet’s review systems to help guide us to the better places to eat than simply taking it by chance. Overall, we were quite impressed with the cuisine throughout Scotland. New Zealand is probably the most impressive country we have visited, especially the stunning south island and certain parts of Scotland illicit the same awe and wonder as we travel through majestic nature that seems almost too unreal. 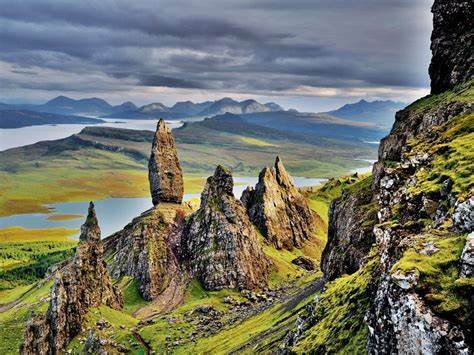 For fans of the popular Outlander books and tv series, there are lots of locations throughout Scotland that are open for visitors. Honestly, that is how we were introduced to the period romantic tale which we have since enjoyed. 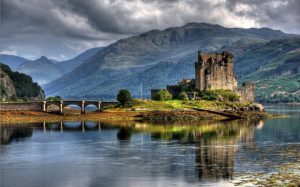 journey to Scotland. It’s iconic “castle on a hill” looms over the city. On the opposite side of the main town is the Palace of Holyroodhouse, summer residence of the British monarch. If the royal family is not in residence, then its open for touring and has a fantastic audio guide. A stroll through the grounds is also worthwhile. One thing that we loved about Scotland is that you can tour castles by day and sleep in them by night. In some cases, the price is about the same as a typical hotel in the area. 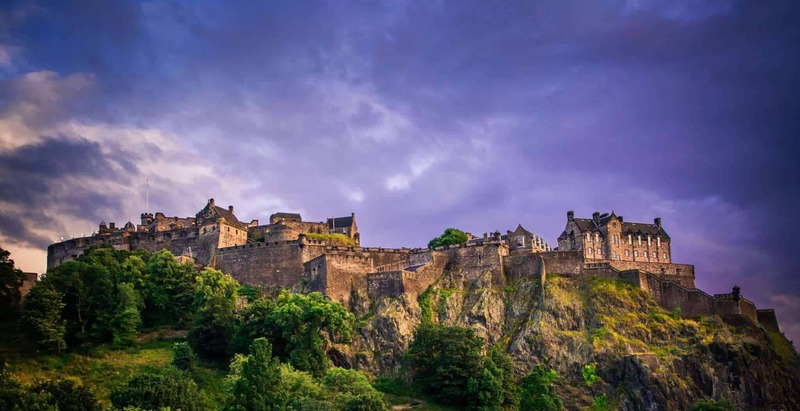 While we love the vibrancy of the big city in summer, this time around we limited our time in Edinburgh to spend more time traversing the countryside. We especially wanted to see the Highlands and I’d say we made a wise decision. We found Inverness to be a great “base camp” for driving around the Scottish Highlands. 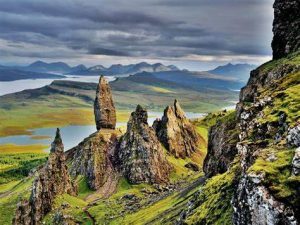 There are a few different circular routes you can take from the city and spend a few hours exploring the lochs, hills and valleys before coming back home in the evening. Inverness has a variety of good restaurants to explore each evening and walking along the River Ness that bisects the city makes for a romantic stroll. Loch Ness (yes, of that fame) is located just 6 miles south of town. The Dores Inn is situation along the loch and made for a great place to grab a bite to eat while we pretended that we looked for the “monster”. Monster or not, it’s a pleasant drive and a great place to get a drink or bite to eat. again fortunate to have amazing weather while on the isle — a good part of the year its rainy, cold and blustery. If the weather is in your favor, take a drive around the island and be prepared to stop and gawk and take photos along the way. If you are going in the summer, lodging is limited so plan ahead. Sleeping in castles, stellar food, stunning scenery, medieval history. Sounds like a romantic getaway to me.